How do multiple instances of Daring Thief interact? Can bioshift shift counters to a creature while it is on the stack? kiora's follower + illusionist's bracers = infinite untap ? lagotripha thank you for all the suggestions! I'm personally not a big fan of Gyre Sage as it doesn't ramp untill it receives a counter, but adding more ramp is probably not a bad idea. I'll see if Kiora's Follower fits the bill. I do hope Hydroid Krasis drops in price, it would be a good replacement for Nimbus Swimmer as well. I'm unsure about beast within and the mana rocks, but I'll definetely keep them in consideration. CyborgAeon: Cheers for the response. I had looked at using Freed from the Real , however my biggest concern with it an Bloom Tender is that you end up producing WBRG each loop (assuming you have your commander out). 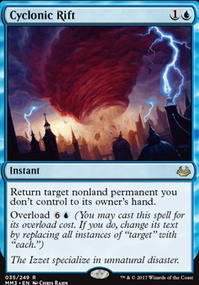 This in turn is not enough to loop Sliver Overlord and then means I can't combo via it. That's why I went for Umbral Mantle instead - it lets me produce WUBRG from both Bloom Tender and Selvala, Heart of the Wilds . I was also thinking of adding Gaea's Cradle so that I could put Umbral Mantle on Kiora's Follower as well. The reason I was looking at Nivix Guildmage was that as well as producing infinite mana, he can act as a draw engine for Timetwister and Noxious Revival without the extra card requirements. Though Izzet Guildmage seems good too, I had kind of forgotten about him. Talking to a mate about it, he was actually recommending Riftsweeper instead, which does go all in on the Acidic Sliver line but technically provides redundancy on every pieces. I'm on the fence about Copy Artifact - it's not bad but I don't think I need it here. As for Overlord himself, I get that he's basically a dedicated combo piece. 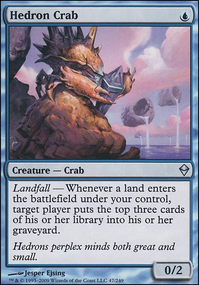 But the benefit of him is that he provides access to all five colours, provides a tutor for the deck win condition and can help get there faster by tutoring 2 mana BoPs in the form of Manaweft Sliver and Gemhide Sliver . He's also naturally a 7/7, which is nothing to scoff at. I did think about Hivestone but decided not to run it as it's only good for mana fixing, which I can get with Cryptolith Rite . 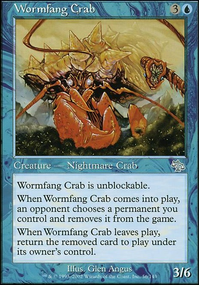 I was thinking about Arcane Adaptation which gives Overlord deck-wide tutor, but for now am under the opinion that it's too mana inefficient. I might change my mind on this though. I'd recommend Freed from the Real to go with bloom tender. This also means that you can use land auras such as Wild Growth (furthermore - this on a blue producing land means that Arbor Elf & Kiora's Follower & Selvala, Heart of the Wilds combo with FFtR). I could be wrong, but I believe Izzet Guildmage offers the same utility at a cheaper mana cost and also combos the same as nivix guildmage, though it can't loot (usually this downside is ignored, since you can just copy any cantrip to excess, or copy a tutor). I feel like running Copy Artifact would enable further wins via dual-scepters. Overall I believe that the sliver plan will be very slow, as the only benefit that's provided is occasional stealing of a creature. You have a 'build your own hatebear' in the cz that needs other cards to operate; maybe Hivestone will help you to achieve your goals better? 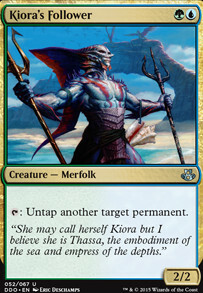 Freed from the Real + Fertile Ground + Kiora's Follower =infinite mana and infinite untap of all your permanents. Vizier of Tumbling Sands and Fatestitcher work as doubles for Kiora's Follower . If you add Contagion Clasp or Contagion Engine you get infinite proliferation as well, which would allow you to use the max planeswalker ability immediately. So theoretically, yes you could. Just by naming cards in your deck, Bloom Tender +any dork that taps for red+your commander in play is infinite colored mana (besides ). Oh, if you use Bloom Tender + Kiora's Follower + Sliver Overlord with AA in play makes infinite mana quicker, still no red though. 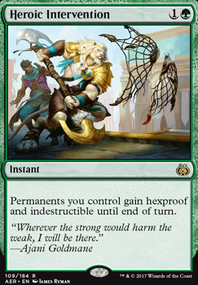 With that being said, it's probably not too mana intensive, but I'm just a tad concerned about its consistency. But, if it's something you want to try out, by all means go for it! This is a cool deck. All the cards are keepable, but these are the cuts I would make. Tried to cut something from each category rather than eliminate one. Siege Behemoth - Slower than your other evasion granters, 7 mana, and practically only works once. Essence Warden - A little life can help with the long game in some cases, but it doesn't synergize with anything else in your deck and is a low impact cut. Mirror Image - the most limited of the clone effects. Expedition Map - You have good targets, but no GREAT targets which lessens its value (cavern of souls type nonsense). Ambush Viper - I love me a green doom blade, but is more narrow than coatl. At this point, it's a matter of personal taste what to keep because the remainder are all very good. 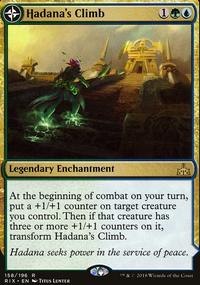 I would try cutting Kiora's Follower , Genesis Hydra , and Gyre Engineer and seeing how the deck functioned.